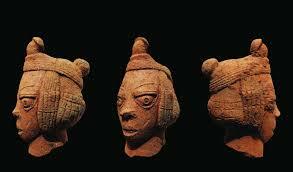 Nok people settled in Jos plateau - a neolithic and iron age civilization. From c.800 B.C. to c.A.D. 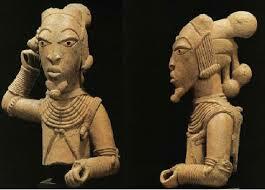 200 the neolithic Nok culture (named for the town where archaeological findings first were made) flourished on the Jos Plateau; the Nok people made fine terra-cotta sculptures and probably knew how to work tin and iron. 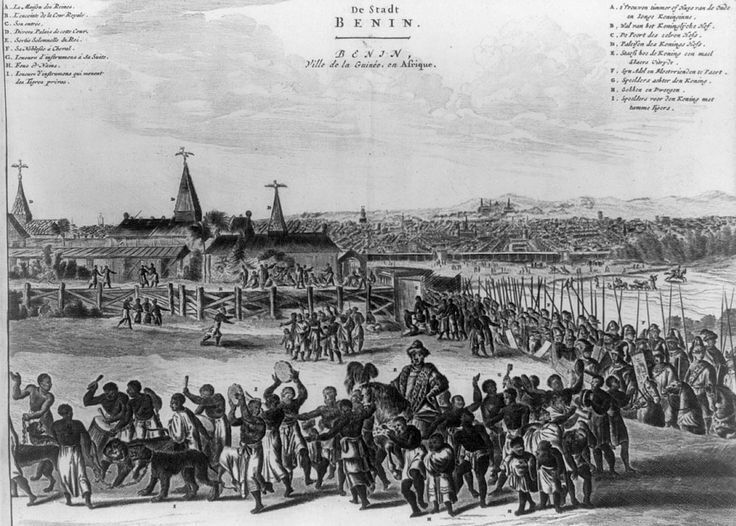 Excavation of some mounds in [now] northern Nigeria, Cameroon and Chad has so far revealed successive occupations over periods of time known in some cases to approach and exceed 2,000 years. The Daima evidence suggests that by the early sixth century before the Christian era there were Late Stone Age herdsmen living in this area, keeping cattle and sheep or goats, using polished stone axes, the material for which had to be carried many kilometres into this completely stoneless regions, and making tools and weapons of polished bone. These earliest occupants of the site probably built only in grass and wood, and lacked metals of any kinds. Findings from sites like Rop and Dutsen Kongba strongly suggest that a fully stone-sing Neolithic level also immediately preceeded the famous Nok Iron Age culture (i.e. before - 2500) of the Jos Plateau. The Nok people may well have traded polished and ground stone tools to peoples occupying the stoneless regions to the north, and perhaps also the pottery, which at Daima is bst represented by a fine ware with burnished red surfaces often decorated with toothed comb or roulette patterns.